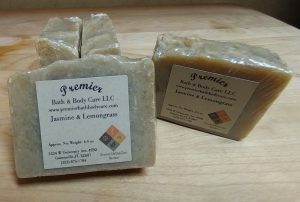 Short Product Description: All natural soap made with pure ingredients. Added flax seed gives the skin nutrients and provides gentle exfoliation. 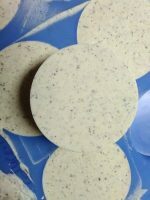 This soap is pure and natural, with added flax seed to provide gentle exfoliation. It contains coconut oil, olive oil, RSPO palm oil and a blend of other essential oils such as Argan and grape seed. It has little scent, as a light hand with Frankincense essential oil is used. It is meant for facial use as it is extremely gentle, but can be used all over the body. I make my soaps in small batches to ensure quality and consistency.